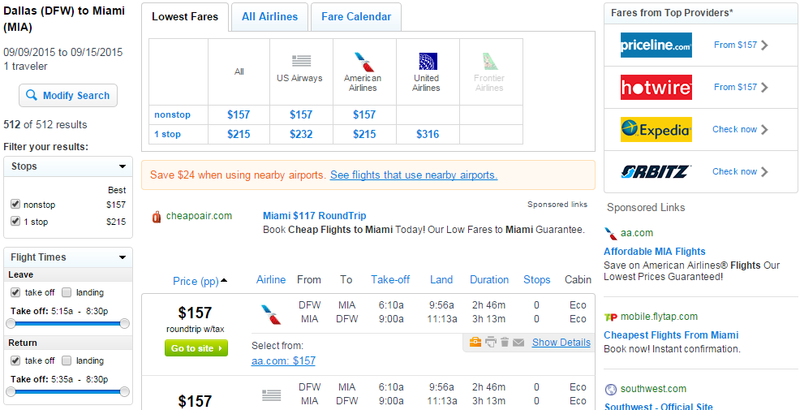 Book a nonstop flight between Dallas and two major cities (Las Vegas & Miami) for travel August-November. 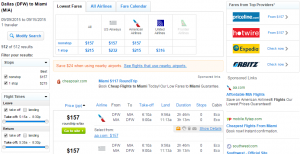 For $147-$162 roundtrip, including tax, travelers can save up to $80 on flights. 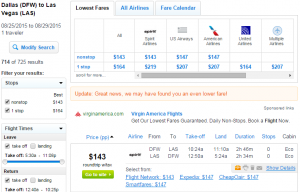 Fares FROM Dallas are roundtrip, including tax. For more cheap flights from Dallas click here. 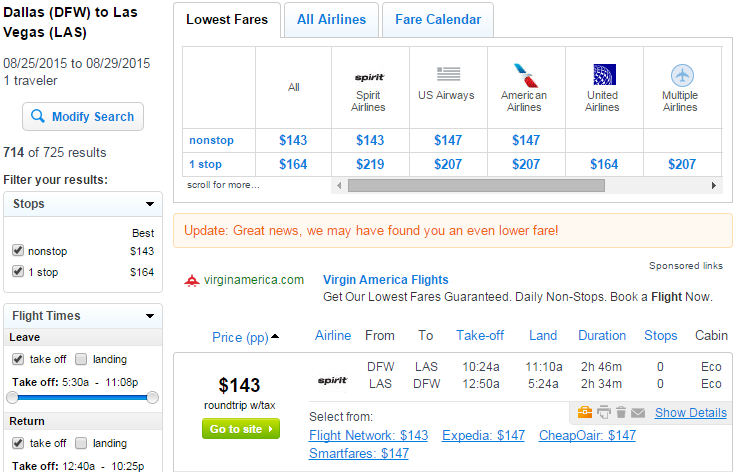 Fares TO Dallas are roundtrip, including tax. Up to $80 off the typical cost of this route.